Like many other web designers I know, I’ve been obsessed with flat design in 2013. This colorful, clean format, creates website with impact and it’s the style has definitely started to make its way into my graphic design as well. 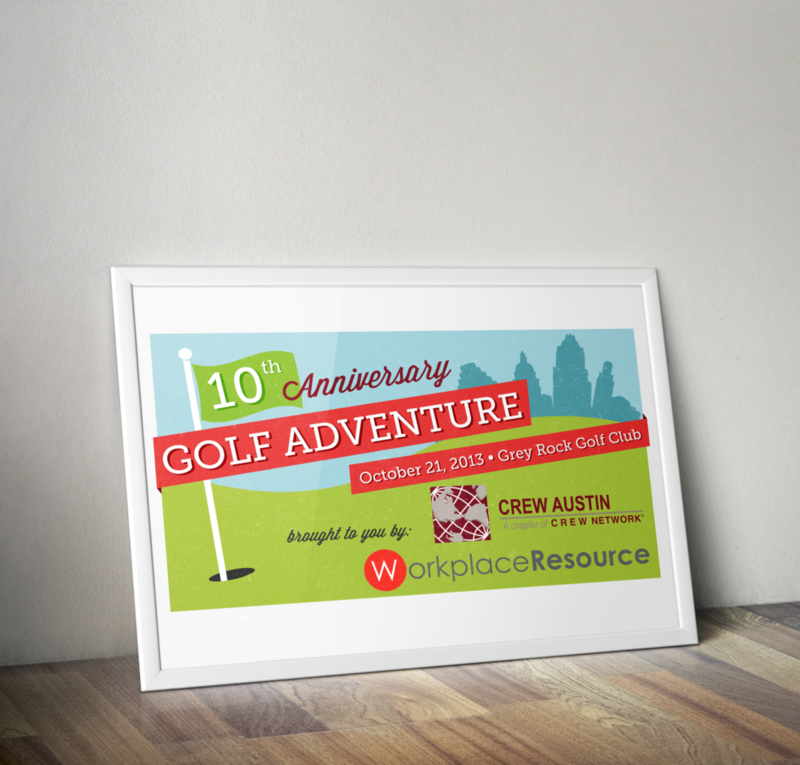 I created this banner for CREW of Austin for their 10th annual golf tournament that takes place in the fall. I gave the look a little depth by adding a bit of texture so it has the feel of vintage silkscreened poster. © mod girl designs. all rights reserved.